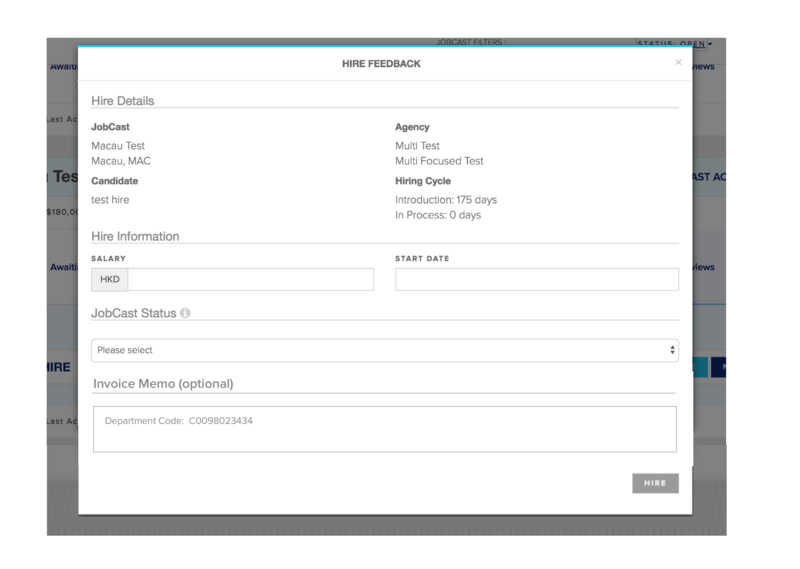 When creating a JobCast, or confirming a hire, corporate recruiters are able to input Purchase Order #’s, Department Codes, or any other information you’d like to appear as a memo on your invoices. 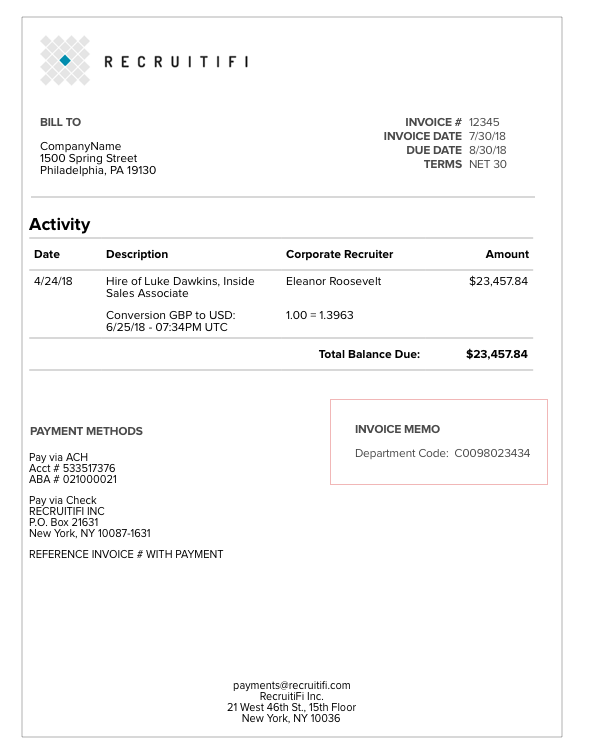 To add an Invoice Memo when first creating a JobCast, fill-in the text box labeled Invoice Memo. Any information input here will appear upon hire confirmation, and ultimately on your invoice. 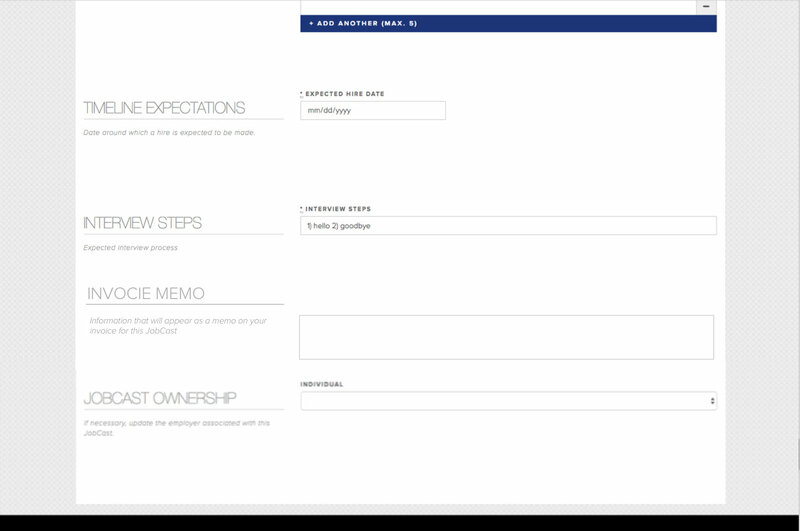 When making a hire in the site, the Invoice Memo field will have any information you added during the JobCast creation. At this juncture you can modify anything in this field, or add any new information that you would like to appear on your invoice.